I’ve been working on a Windows 10 1511 defect where the devices are unable to open some PDF files from a fully qualified domain name (FQDN) mapped drive such as a DFS using Microsoft Edge browser. Hmm, we can’t reach this page. Make sure that you’ve got the right web address. . .
I’m showing how to create the issue with a workaround I found. I’m going to link this post to this issue on Edges Developer site. Please click there and vote if you have seen the same issue. Copy the PDF file locally and launch it. Map a drive using single label resolution (example: \\server\share). Connect to the share directly using UNC with single label resolution (example: \\server\share). In order to emulate the issue I had in the enterprise, I modified to local hosts file (C:\Windows\System32\drivers\etc\hosts) in my home network to make my home NAS act similar to a DFS namespace using a FQDN source. I added a new line to the hosts file which had the local IP address of my NAS and a made up FQDN for testing. In this case it was nas.scriptimus.local. I then mapped a drive to the NAS share where I already had a number of PDF ebooks. When I tried to access any of these files I received a prompt similar to this. If I copy the files locally the files open in Edge. 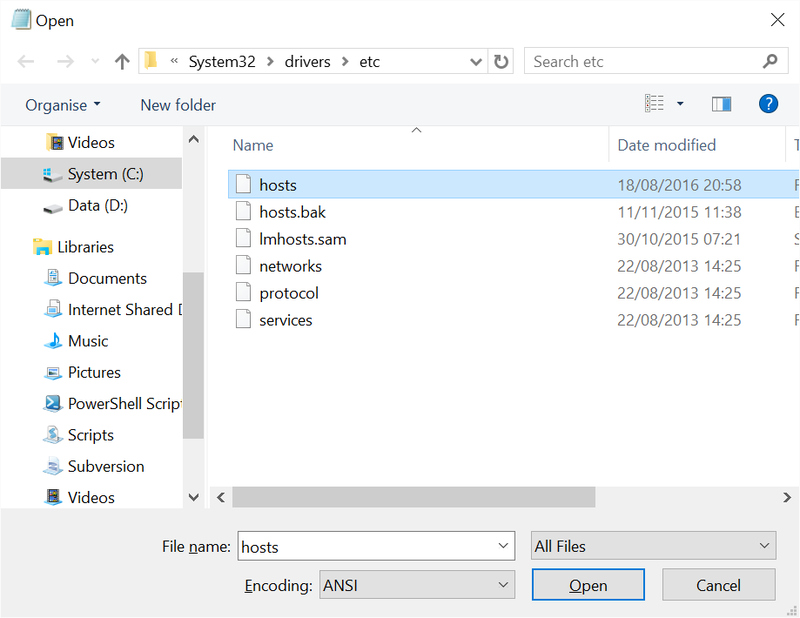 If I map a drive using just the hostname the files open in Edge. If I UNC to the share the files open in Edge. This is the same issue countless people are experiencing in the enterprise. The issue was closed on Microsoft Connect as they were unable to reproduce the issue. 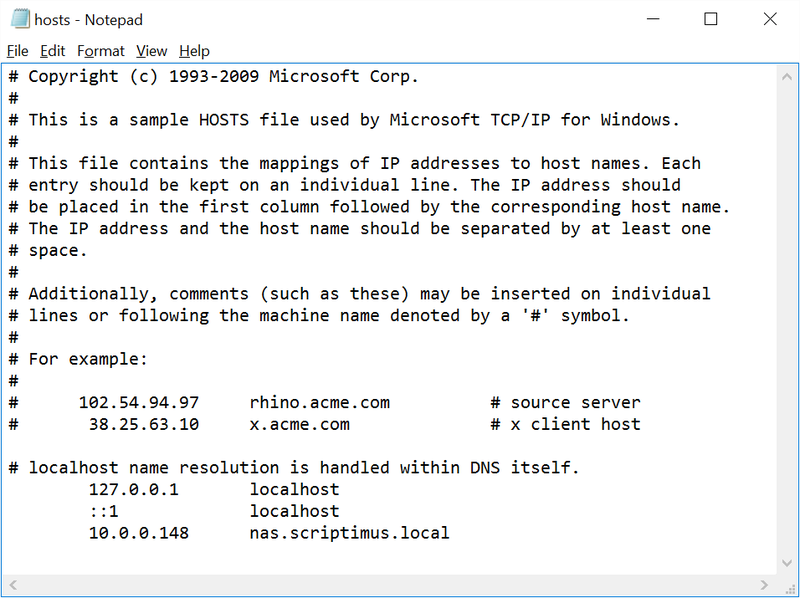 Simply add the DNS name or suffix to the Local Intranet sites in Internet Explorer 11. After this you can open your PDF files in Edge without issue. I use the term ‘fix’ loosely because you really should not need to do this but as a work around it works for me. If anyone has a better fix then please feel free to comment below. A Scripting and Deployment Specialist. 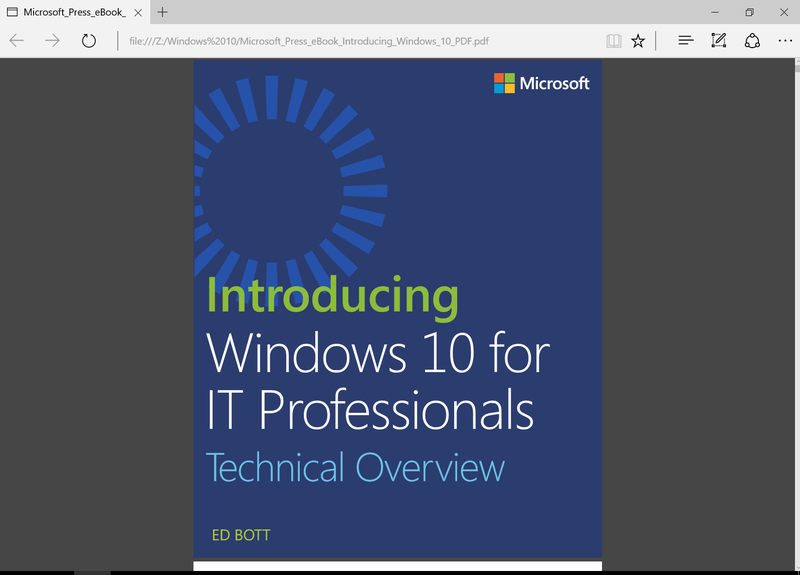 This entry was posted in Windows 10 and tagged Microsoft Edge, Windows 10. Bookmark the permalink. Have you looked at this in WireShark while opening the file? You commented on the bug I sumbitted to Microsoft. In my case, we only had issue with PDFs that came from a particular vendor. That vendor, for whatever reason, had about 73KB of NULL characters after the EOF character. When I viewed the attempt to open the file in WireShark, I noticed that SMB was repeatedly requesting data from the same offset, on the order of 11,000 requests. Compared to a normal file that which only took about 150. The data at the offset happened to be in the NULL space. I couldn’t figure out why some files would work in my scenario above. I plan to test for this zero byte issue and see if your files match my issue. I think it’s all connected somehow but just need to connect the dots. It’s my hope for now that Microsoft stop closing this issue due to not being able to reproduce it. I was surprised that I didn’t find a bug submission for it when I noticed the issue. In my case, I could also open the offending PDF in HxD (or any other hex editor) and easily find the thousands of “00” characters. I’m interested to hear what you find about the different files.